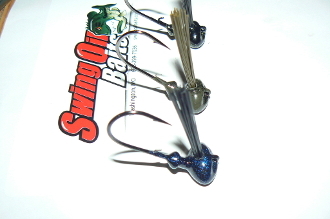 The Flat Bottomed Football Jig is a great stand jig head. It has an extra strong mustad hook and a bait keeper. Put this one in your arsenal and you won't be dissapointed.